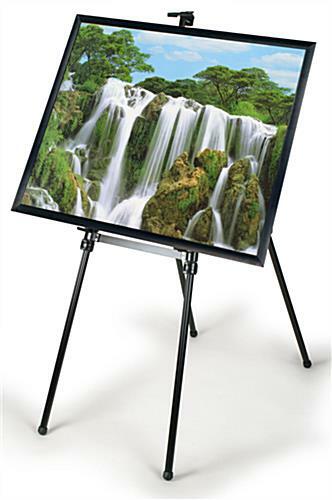 This easel with poster frame includes everything pictured here (but without the graphics). 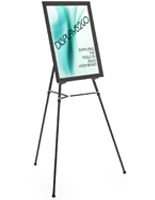 Used for welcoming visitors at events or for simply displaying colorful graphics, our stand set is fully height adjustable. 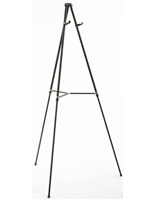 The easel features four legs for optimal stability as well as sliding support pegs for accommodating different display orientations. 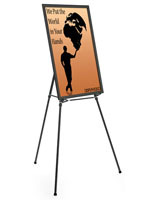 The included poster snap frame is made from aluminum with a black anodized finish. 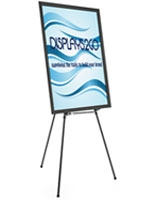 Each side flips open for quick and easy access, and your inserted 24" x 36" graphics stay protected behind the non-glare lens protector. 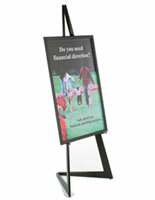 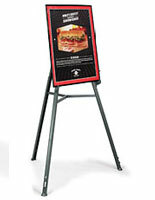 This easel with poster frame combo would be a great addition to wedding receptions, trade shows, and hospitality events. 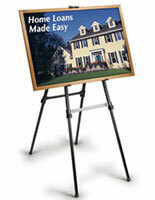 38.3" x 67.0" x 24.0"
17.0" x 28.0" x 5.0"
16.3" x 27.5" x 13.0"